Circuit around the volcanoes of Tongariro and Ngaurauhoe in the Tongariro NP. 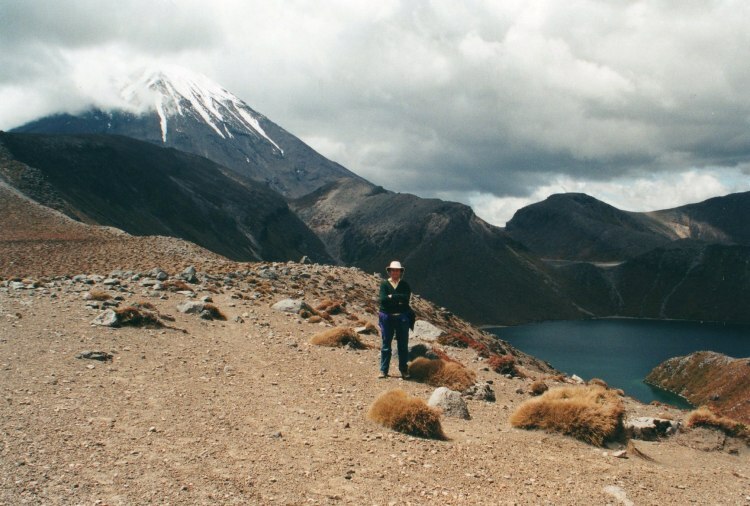 Superb volcanic scenery: the perfect cone of Ngaurauhoe, colourful craters, dazzling mineral lakes, huge views over the lowlands around the Tongariro massif. Enjoy waterfalls, varied forests, tussocky heathlands and New Zealand's only desert. This is a hutted walk, so you will have to carry your food and sleeping bag, but not a tent. This walk is in remote mountains, on which you will have to be self sufficient. Come prepared. The Tongariro Alpine Crossing section is very popular. This outstanding 3-4 day circuit around a wild, convulsed volcanic region in the centre of New Zealand's North Island takes in an extraordinary range of terrain craters, huge ash cones, lava flows, vents and colourful lakes, maintaining superb long-distance views across the lava landscape and lakes of the North Island. People usually start and finish the trail at Whakapapa Village and walk clockwise, although it can be walked in either direction. On round to the east of Ngaurahoe, you will pass by and scramble over weird volcanic landscapes in the Oturere valley. If short of time, you can omit the section between Whakapapa village and the Mangatepopo hut: this is a steady trudge across tussocky country and less thrilling than the rest of the circuit. A great option is to stay at the Ketetahi hut, which is several kms north of the circuit but a great place to stay. When you return to the main circuit, you will have some hours in relative solitude before the swarm of day walkers arrive along the Alpine Crossing. The four huts have mattresses, cooking facilities and water. You can camp near the huts. An easy trail to follow. This walk is snow-bound in winter. Many people prefer to tackle the spectacular section of this walk that consists of the Tongariro Alpine Crossing many claim it to be the best one-day walk in New Zealand, with good cause. 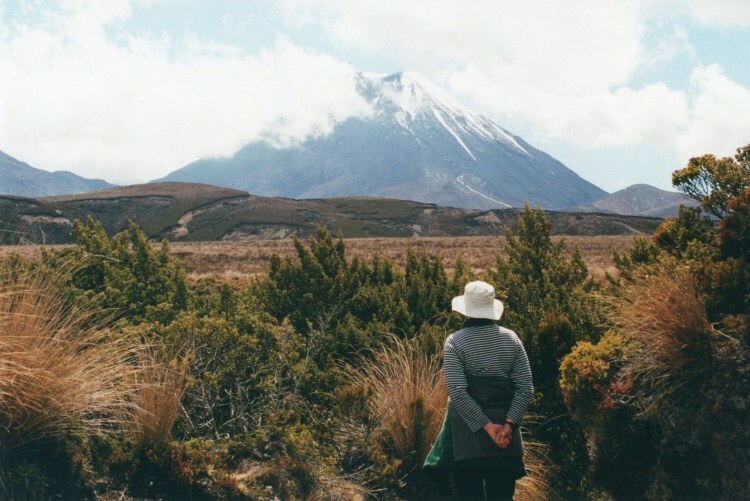 A great one-day walk can be made from Whakapapa to the beautiful, bright turquoise Tama lakes in deep clefts on the saddle between Mts Ngauruhoe and Ruapehu is some 8km, climbing steadily through rough heathland up the long slopes of the volcano flanks. New Zealand (Lonely Planet) is a good basic guide book. Outstanding landscapes & fantastic views make this one of the best I have done though carrying a large pack as no supplies available on route & the large ammount of ascent make for a tiring walk. The network of mountain huts is tremendous & a credit to the Department of Conservation.